News: Requested iPad updates delivered, we’re excited! Towards the end of December and into January, the app updates slowed to a crawl. Over the last week, it appears many developers are trying to catch up with the month plus off. We have been seeing many updates appearing in the app store to the software we have installed on our iPad. Most are small updates where it lists ‘bugs fixed’ or ‘Greek language added’. Well, few apps we use every day have bugs we have been concerned about. And, we don’t have anyone in our office that speak Greek. There has a been a few apps that we had feature requests out to the developers and excited us to see those requests get filled. We know, the features weren’t likely added just because of us, but we very happy just the same. 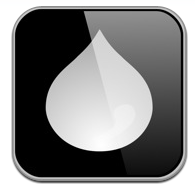 Trickle for iPad – we just reviewed this this one. The app reaches out to Twitter and streams posts from who you follow without the need to refresh or move around the page. Two requests for features, both delivered!! ReaddleDocs has been updated with a few speed and sync items that where causing slowness for us. Normally we would consider these bug fixes but in the case of ReaddleDocs there where enhancements. 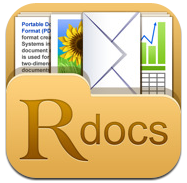 • Save Web Pages to PDF (iOS 4.2 and higher)!! 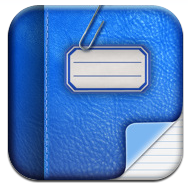 • Sync SugarSync folders with your iPad!! PhatPad for the iPad – you may remember this app as one we mentioned as growing in popularity due to it’s improvements to handwriting recognition of what we wrote on the iPad. It also has the shape correction that we had lost when the Newton was discontinued and didn’t know how much we used it till PhatPad brought it back. The addition of audio recording into notes and for automated presentations is another feature we have been missing and are overjoyed to see now included! • Voice notes: record, play, use in presentation mode. • New advanced presentation mode supports VGA monitor and allows to create unattended presentations by synchronizing document pages and voice. 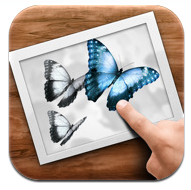 • New “erase” gesture allows quick deletion of ink, text, and images. • Improved digital ink flow and recognition of geometrical shapes. • Cut, copy, and paste commands now supported by text labels and images. • Increased (doubled) maximum width of the digital ink, useful to highlight or markup documents. • Allows changing of the Z-order of overlapping images and text labels. 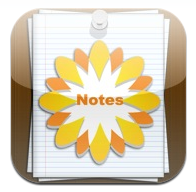 TouchUp for iPad – So many note taking apps, this one is a very advanced but easy to use image touch up app. While we are able to clean up colors and fine tune areas of out images, a couple of the basics where missing. Again, just a few items requested to help make this more usable for us every day, and we got our wishes with this update. • New Feature – Crop. You can now crop your photos when editing. Look for the new image adjustments button at the top of the photo edit view. • New Feature – Straighten. You can now straighten your photos when editing as well.